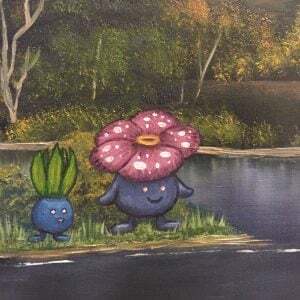 Enjoy fine art and Pokemon together in one awesome painting! Inspired by The Joy of Painting, this artist has creatively used real Pokemon world locations to create these amazing oil paintings. Custom orders can also be made! 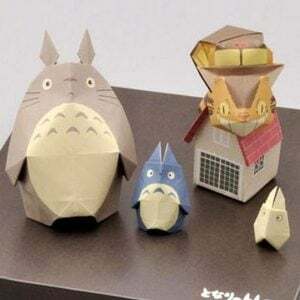 Challenge your papercraft skills with this wonderful My Neighbor Totoro origami kit. 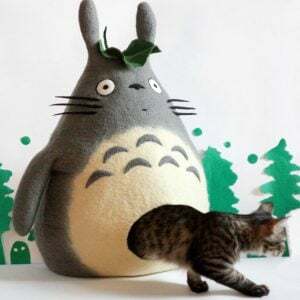 Comes complete with enough paper for 3 different sized Totoros, Catbus and the Kusakabe house. 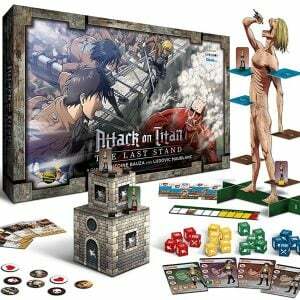 Not only is it fun to make, once complete it makes an awesome display piece. Give your Mom a real fright the next time she hangs your clothes. Migi’s sinister eye creates a rather disturbing coat hanger that will make her believe you the next time you claim there’s a monster in your closet. Its primary power is to guide the owner like a compass to whatever they seek, including other Millennium Items… Haha not really! This full-sized replica of Bakura Ryou’s Millennium Ring may not find your keys but does look pretty neat. Oh, you only have regular Dragon Balls? That’s cute. Now you can call forth the eternal new born Dragon Alpha Shenron, who has the ability to grant anyone who gathers them five wishes! Immortality is just one credit card payment away!